We asked and you guys answered. What new for 2014 coaster are you most looking forward to in North/South America? Hands down, that would be Banshee at Kings Island. In our poll the world's longest inverted coaster received over 47% of the total votes. The ride, which will feature massive elements, seven inversions, and one of the most unique color schemes we've seen in some time, was designed for the park by B&M. 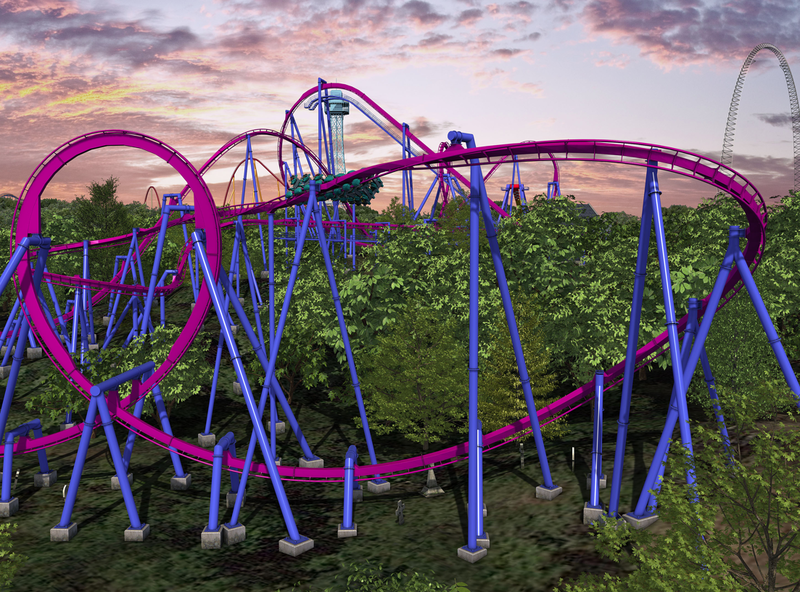 Banshee will feature some new restraints on the trains, a first for the company's line of inverted rides. Track and support construction just recently finished, and now we're all eagerly waiting for Spring! 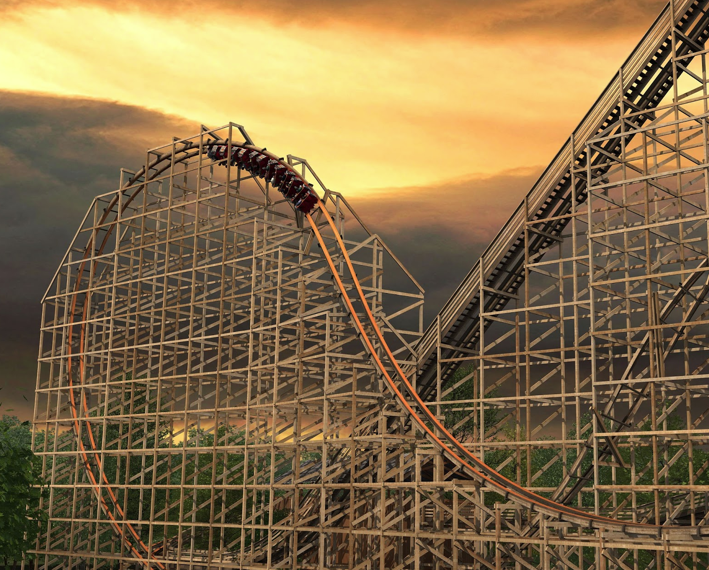 Our second place finisher, with over 21% of the vote was Goliath at Six Flags Great America. Another world record breaker, this massive (165 feet tall with a 180 foot first drop) wooden coaster will steal three titles when it opens. We recently saw how impressively Outlaw Run was ranked in the Wood Coaster Poll, so it would make sense that Goliath might receive an equally intense reception when it opens. Third place went to the Seven Dwarfs Mine Train at the Magic Kingdom, a bit of a surprise finish in my opinion though well behind second place ride with 8% of the total. 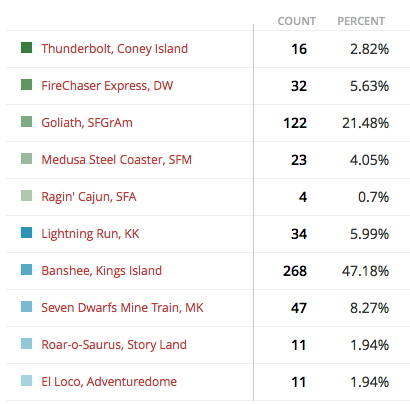 Fourth place is held by Lightning Run at Kentucky Kingdom, and fifth place went to FireChaser Express at Dollywood. It was pointed out to me that I actually forgot one ride in the poll - the Gringott's coaster that will open at the Wizarding World of Harry Potter - Diagon Alley at Universal Studios Florida. My apologies! This month's poll is now live, and takes a look at the park with the most coasters - with so many to choose from which is your favorite?